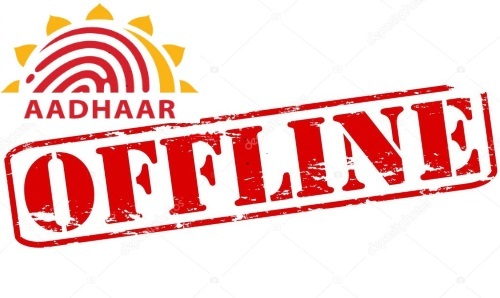 Finahub Official Blog: Advantages of Aadhaar paperless offline eKYC. Why Aadhaar Paperless Offline E-KYC? 1. Online e-KYC needs strong connectivity. 2. Agency wants technical support to request online e-KYC service and to use devices (as necessary). 3. The resident may need to give biometrics for the online e-KYC. 4. UIDAI requires the agency to keep records of the KYC request for audit purposes. In Aadhaar Paperless Offline e-KYC, instead of producing a photocopy of an Aadhaar, the resident can download the KYC XML and provide the same to agencies wanted to have his/her KYC. The agency can verify the KYC details shared by the resident in a manner explained in below sections. The KYC details are in machine-readable XML which is digitally signed by UIDAI enabling the agency to verify its authenticity and detect any tampering. The agency can also authenticate the user through their own OTP/Face authentication mechanisms. How to generate an XML file for offline verification? For this service, your mobile number should register it with the Aadhaar card. Here's how you can download your Aadhaar data to create an XML file for offline verification purposes. 2. Click on 'Aadhaar Paperless Local e-KYC' which is under Aadhaar services tab. 3. Enter either your 12 digit Aadhaar number or 16-digit virtual ID and captcha code. 4. Click on 'Send OTP' to receive one -time password (OTP) on your mobile number via SMS. 6. On the next page, enter your name as mentioned on your Aadhaar card, pin code of your address and captcha code. 7. You have options to choose if you wish to share the additional details on the documents namely - Photo, Date of Birth (DOB), Email, Mobile and Gender. Along with that, you will be required to enter 'Share Code' as per instructions are given on the website. 'Share Code' is your own password. 8. Enter the security code and click on Submit. 9. On successful submission, a password-protected ZIP file containing the XML file will be downloaded on your computer/laptop. 10. You can extract and save the XML file from the ZIP document downloaded from the website by entering the share code entered by you. a. KYC data may be shared by the Aadhaar number holder directly without the knowledge of UIDAI. b. Aadhaar number of the resident is not shown, instead only a reference ID is shared. c. No core biometrics (fingerprints or iris) required for such verification. a. Aadhaar KYC data downloadable by Aadhaar number holder is digitally signed by UIDAI to verify authenticity and detect any tampering. b. Agency can validate the data through their own OTP/Face Authentication. c. KYC data is encrypted with the phrase provided by Aadhaar number holder allowing residents control of their data. a. Aadhaar Paperless Offline e-KYC is voluntary and Aadhaar number holder driven. b. Any agency working with people can use it with the consent of the Aadhaar number holder allowing wide usage.